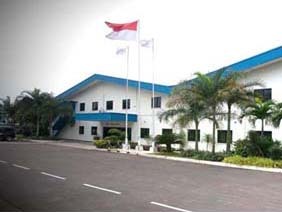 The Company was established on July 23, 1981 with its Head Office and factory located in Tangerang, Banten (The greater Jakarta area) - Indonesia. The Company is engaged in the manufacturing of Conductors, Power & Control Cable and Telecommunication Cable Copper Conductor & Fiber Optic Cable. The name of company became PT. Sumi Indo Kabel Tbk. in year 1999. The company received official recognition of its quality management system standard from SGS, certification ISO 9001:2000 For Power and Control Cable, Telephone and Fiber optic Cable in year 2002, and Certification OHSAS 18001 in 2014. This was the first recognition in Indonesia for Electric Cable and Wire Industries. We Have improvement activities named "SEQCDD" which means Safety, Environment, Quality, Cost, Delivery and Development. "SE" activities achieved some effects for the company's CSR activities and "QCDD" activities assisted the company in getting evaluation as a good cable manufacturer / Supplier from customers. The Company is continously developing the products based on the fundamental concept of achieving superiority in the industry by creating high quality products as the significant components to extend the company's target market.